This year, it has started with my school files. I started by opening up my “Beginning of School Year” file and reviewed some of the activities I work on with the students at the start of the year. 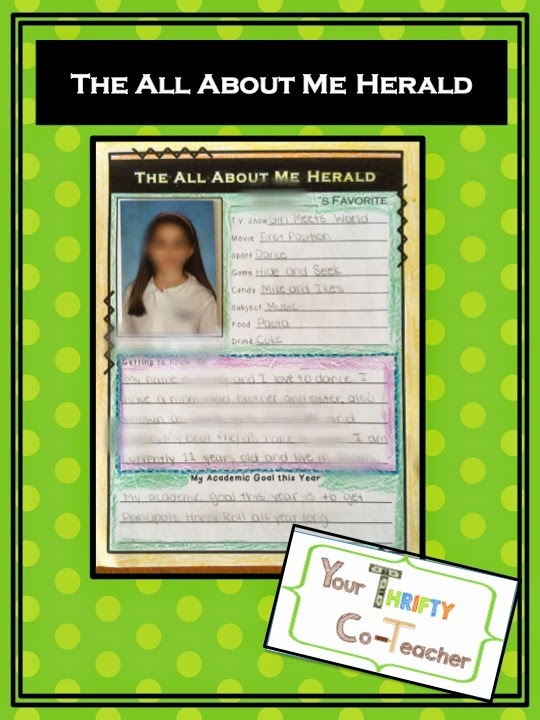 The very first writing activity I have the students do, is to make a newspaper cover with information about themselves. Students write about themselves, their goals and some of their favorite things. They then share them with the class, or in groups. I laminate them and place them on a bulletin board. They always look so beautiful up in the class, and it’s a great way for students to introduce themselves to each other, and to me. Another great thing about this resource is that summer camps and parents can use it during the summer as a quiet afternoon activity for the kids. All I would do is white out the word academic on the bottom, and voila, you’ve got a quiet afternoon activity for the kiddos. I have placed this resource in my Teachers Pay Teachers store for FREE, so make sure you click HERE to download it. Love this activity! Can't wait to use it next year! Thanks for sharing this great freebie!